Powering 2 Billion mobile devices across the globe, Android inevitably stands out as one of the most sought-after platforms for mobile app development. 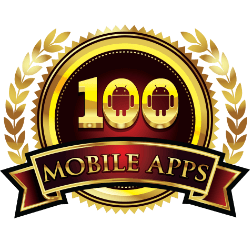 Webguru Infosystems is a leading Android app development company in India providing successful mobile applications to SMEs and enterprises. Avail our Android mobile app development services to increase your customer reach. Why should you opt for Android application development? Android comprises of a huge share of the mobile app market in the developing countries, which is enough to generate high visibility for your brand. Professional Android app development services can be used to leverage the power of this platform to create and enhance brand awareness. So get in touch with a custom Android application development company to build unique, innovative and user-engaging Android apps. Consider the following benefits of developing an Android app for your business. The developers can customize the platform according to your requirements, building thus an app that totally represents your brand. The Android apps run on numerous devices, without altering their performance in any way. Our Android mobile application development services come at a reasonable price point. Being a top Android app Development company in India, our services revolve around your vision. We take your raw ideas and weave them into something extraordinary in the form of an Android app. Our professional Android masterminds are quite adept in Java and Android SDK, thus knowing the platform like the palm of their hands. Moreover, they keep on updating their knowledge and skills according to the technological evolution in the industry. 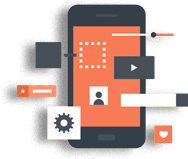 Also, our Android app development services ensure maximum user engagement through interactive UI/UX and seamless transitions. We Listen to your ideas, interpret them technologically and develop accordingly. We create impeccable app UI/UX designs to stun the crowd. Equipped with the latest technologies, we develop exclusive native apps for the Android platform. We have some professional testers in our midst who test the apps for bugs and other issues before delivering them to you. Our job does not end with the launch of your Android app on Google Play. We make sure to promote it in the search and social media. We also offer top-notch maintenance & support for bug fixing, updating, and other issues, if any. Webguru Infosystems is an ISO 9001:2015 certified company provides quality web and mobility solutions. Hire top Android developers from us to increase the number of mobile customers and enhance awareness of your brand. Webguru Infosystems is an ISO 9001:2015 cerfied company provides quality web and mobility solutions. Hire Android developers from us to increase the number of mobile customers and enhance awareness of your brand. We follow a proven and tested system when developing business apps for the Android platform. But, so does many other agencies. What makes us different? We conduct thorough research before suggesting solutions. Our team has delivered effective solutions to satisfied clients globally. The most popular (by percentage owned) mobile operating system in the world, Google’s Android has done it again, that is, come up with a new version. Android’s obsession with confectionary continues as it has named its latest version as Android Oreo. The last one Nougat was released in August 2016 and just about one year later, Android has decided to bring out its Android 8.0 OS final update for aficionados like you and I.